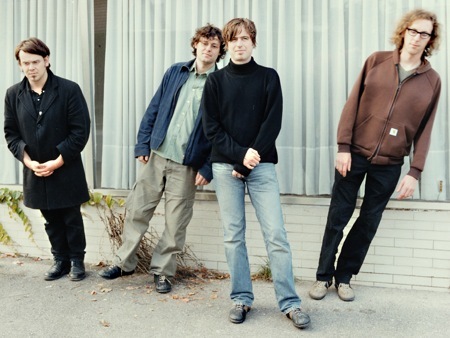 The Notwist are a German indie-rock band founded in 1989 and therefore have been around for quite a while. After seven studio albums they’re back with their new album Close To The Glass. Their songs borrow sounds from the world of electronic music mixing it with a rather more soft rock and indie sound, this is all topped with the delicate voice of singer Marcus Acher. Throughout their careers they have always experimented new sounds. Thoughtful lyrics and a long experience in playing music make them even more a must see! The new album contains songs which have a faster rhythm than their usual sound and with a touch of folk in it, like the single “Kong” which has a funny cartoon video!